blacktowerwineNear or far, we know your best friends are worth their weight in gold. 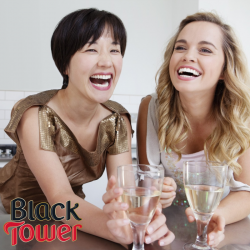 It’s National Best Friends Day and to help you celebrate your BFF, name them in the comments below and we’ll pick a lucky winner at random to WIN a case of Black Tower wine! For full t’s & c’s please see the Notes section of our Facebook page.